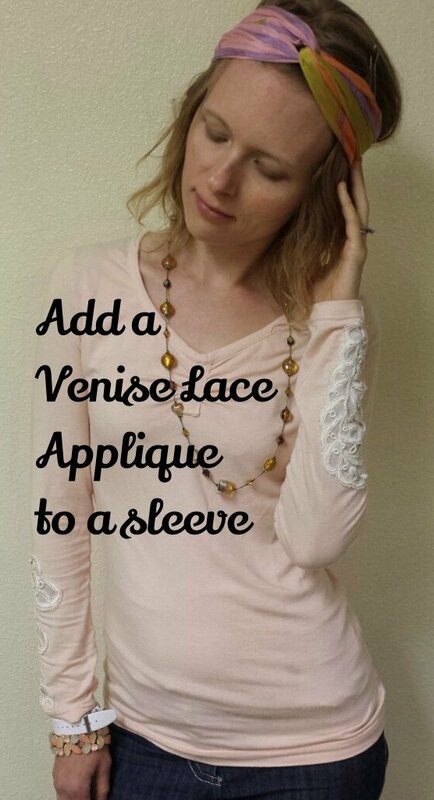 There is no end really to the variety of venise lace available. For this tutorial, I used 2 feather appliques from Mary Not Martha. On a sleeve, you’ll want an applique that roughly fits in your forearm area length and width wise without getting into the seam allowances. 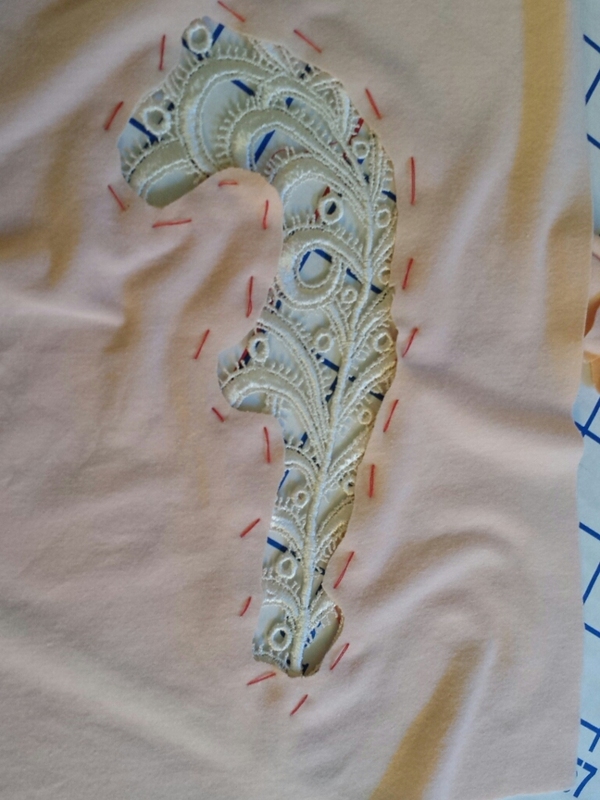 Decide where on your sleeve you would like the applique to be placed. Make sure the lace is placed away from seam and hem allowances. 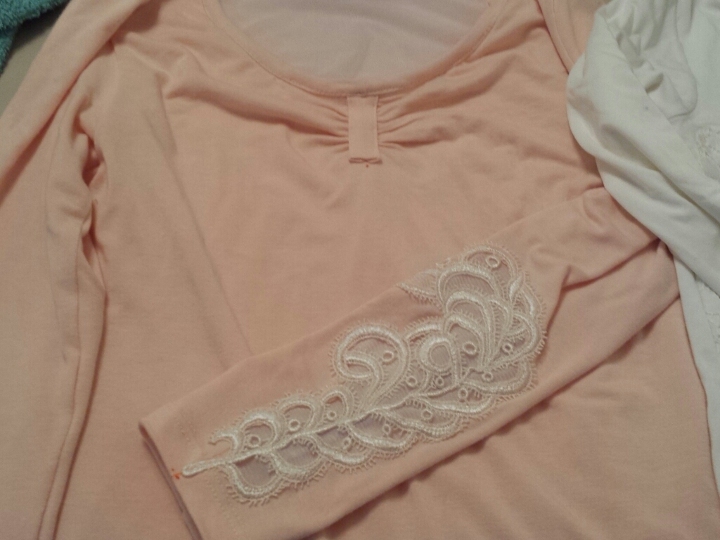 I marked a center line vertically up the sleeve to help me position the lace and so that I could easily transfer my placement to the opposite sleeve. Pin in place. Wrap the sleeve around your wrist to see if you like your placement. Adjust if necessary. 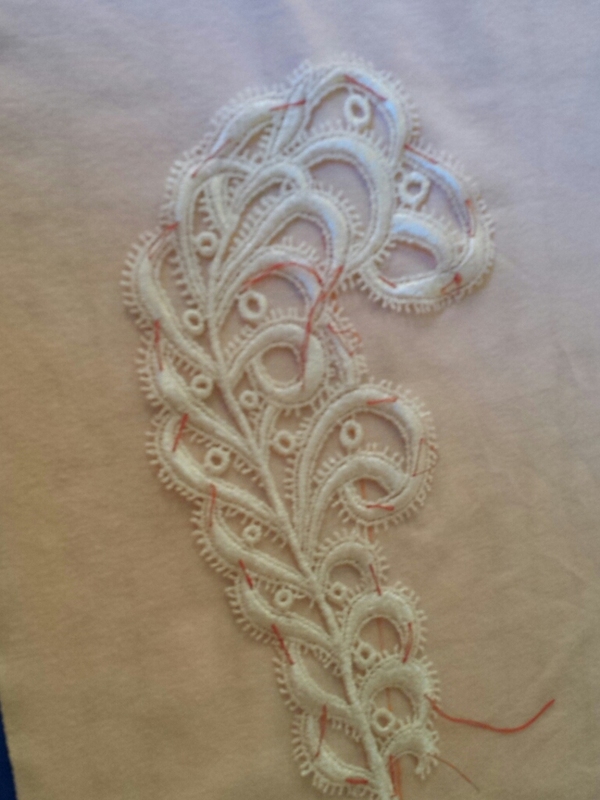 Using contrast thread and your needle, hand baste the lace into place. If you are a hand-sewing hater, I will tell you that pins under the machine on such a large applique are going to be more trouble than 2 minutes spent basting by hand. The hand basting will allow you to keep the lace completely from shifting under the machine and you won’t get poked. It will also help you in the next step. 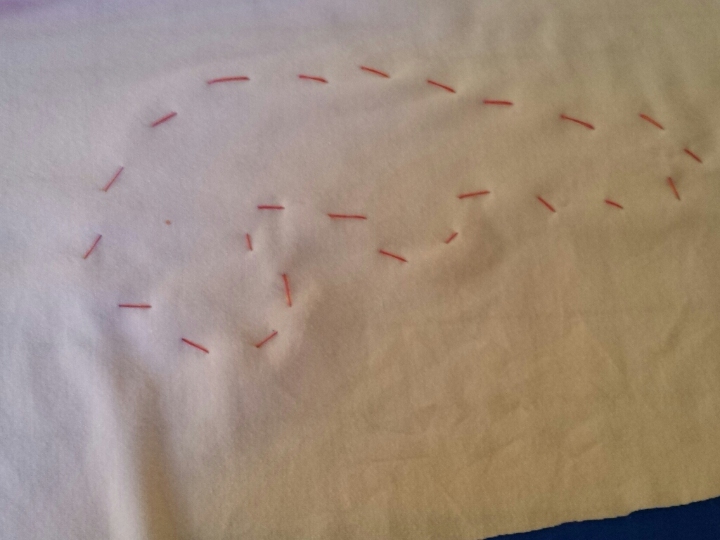 Using your embroidery scissors, carefully cut out the sleeve fabric within the boundaries of your basting. Lay the mesh knit over the wrong side of the sleeve and baste into place (my camera lost this picture…), making sure that it covers all of your basting stitches from the lace piece. 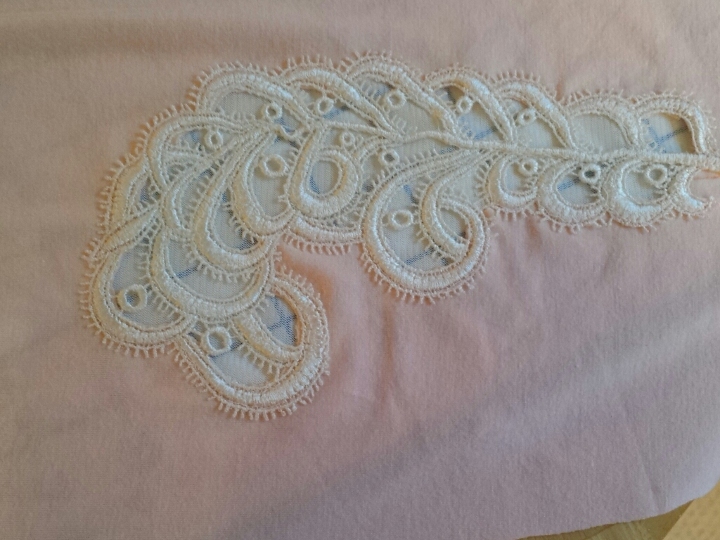 Using a narrow zigzag, stitch down the lace on the right side around the outside perimeter of the applique. 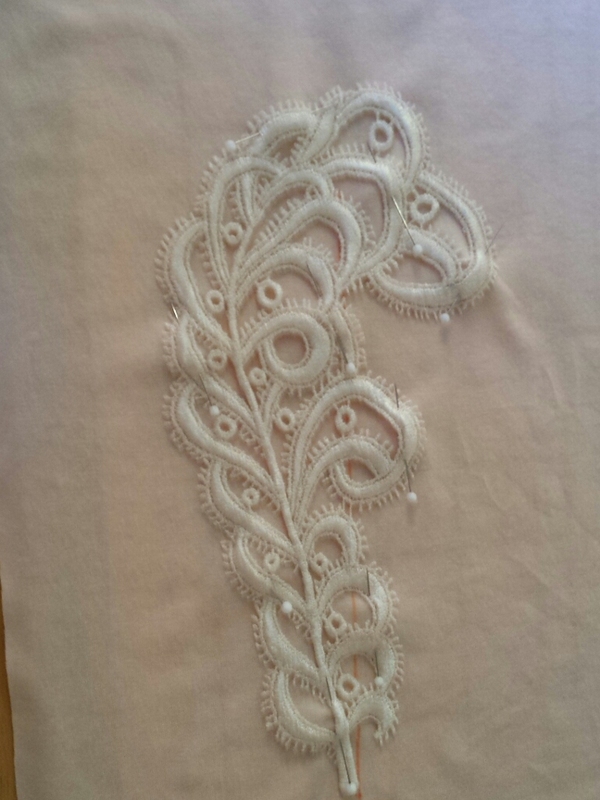 Remove your basting stitches from the applique and the lace. Carefully, with your scissors, cut out any excess fashion fabric that might still be peeking out from under the lace. Continue to stitch the lace down on top of the mesh with the narrow zigzag until you feel it is secure. Cut away the excess mesh knit from the wrong side of the sleeve, leaving a 1/4″ border from your stitching. You’re done! Sew the sleeve as normal. This finished tee has been entered into Patternreview’s Bargainista Contest. Vote for me!!! Let’s keep the conversation going! Check out my sewing dreams and inspiration on Pinterest, and keep up to date on my projects on Instagram and Facebook. 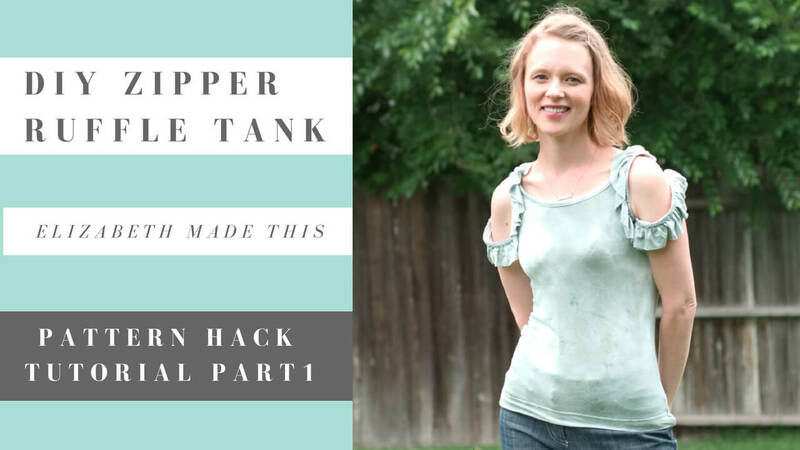 DIY Zipper Ruffle Tank videos!